One of the things I struggled with a lot when testing out Aperture and Lightroom was understanding what the correct workflow was. I searched the web and found very few photographers posted how they did things and it would've been a huge help to see more ways of thinking about this in real life. So I'm posting my own workflow here in the hopes that it'll help those that are struggling with this. It's important to note that this it MY workflow and it evolved to what it is now after playing with Aperture for a few months and changing things around constantly. At one point I even ditched my Library and started re-importing everything into a new one! So, what I mean is that this may or may not work for you. Or some parts may help but others not. And that's OK. The trick is to get to a point where you're comfortable with your own workflow and it works for you. More importantly, it's repeatable. Change filenames to <subject><number><date>. So a portrait would be something like "Lisa_001_090803.nef"
Add copyright and location info only. I do not add keywords at this stage as I find it easier and quicker to do all keywording in one go once the images are imported. It also helps me maintain an organised keyword structure. 2. Do a 1st selection pass to select picks. Ensure the search filter is set to "unrated or better". I go one photograph at a time in full screen and assign either a reject (9) or 1 star for "pick" (1). I do not give them any other stars at this point. The main goal here is to get rid of the obvious crap shots and pick the obvious decent ones. The photographs that are left unrated (usually a larger percentage) will get another pass a few days later when I've cleared my head of this particular shoot, but more often than not I won't upgrade any of them. More on my Aperture ratings strategy. 3. Add keywords to the unrated or better only. Add generic keywords that apply to the entire shoot. I do this by selecting all photographs (Command-A), opening the Keywords HUD (Shift-H) and dragging keywords onto a photograph. Ensure you don't have the primary only button selected so keywords apply to all images. Add group keywords that apply to groups of photos. For example, I'll select all headshots and apply the keyword "headshot" to those, then select all full body shots and apply "full body", etc. 4. Do a 2nd selection pass to select the ones good enough to spend some time editing. Change the Search field to "1 star or better" so I only see the picks. This usually gets the shoot down to a manageable amount of photographs and makes me very happy! For example, on say a shoot with 300 images, I'll be down to somewhere between 20 and 50 on a good shoot. Even less after a crappy day. Again, I go one image at a time in full screen and promote only the very best ones to 2 stars. These will be the only ones I'll do any further work on, so I try to be as ruthless and unemotional as possible. Definitely not an easy thing to do. 5. Do some editing on the 2 star shots and promote the final edited ones to 3 stars. Change the Search field to "2 star or better". Get on with my editing (a subject for a future post). Here I may go crazy and create several versions of some images to have different options, for example I sometimes do a warmer and a cooler version by adjusting the White Balance, plus maybe a black and white version. Versions practically take no hard drive space so it doesn't really matter how many you do as they won't fill up your drive. I may end up deleting the ones I don't like, but it's easier to compare different looks if I have them as separate versions. I do the same with different crops, one for each version. Then it's easy to compare them in full screen. I may use external editors if necessary. Assign 3 stars to the final selects. Create a "3 Stars or better" smart album where all my final photographs are always available for easy reference. The 3 stars are my keepers and I use this folder because I normally leave my Project search in "2 stars or better" or sometimes "1 star or better", depending on the size of the shoot and how many 1 and 2 star images I got. 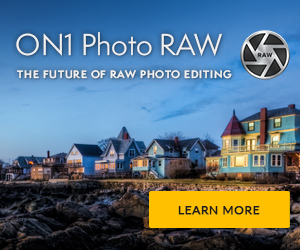 Review all 3 star photographs and upgrade to 4 the very best of the shoot. 5 stars is reserved for my portfolio photographs only and most projects don't get any images rated 5 stars. Create as many normal albums as necessary. For example, I create an album exclusively for my black & white versions. I may also create a separate album for different crop sizes that I print, for example, I'll have a 5x7 album and an A3 album with differently cropped versions in each. For models, I also create a "model favourites" album to keep track of which ones they prefer. This depends on if I'm printing, submitting to stock, uploading to the web, etc. Subject of a further post.